"Just Ask Her Out" is a game I created for Ludum Dare 40, under the theme of "The more you have, the worse it gets." 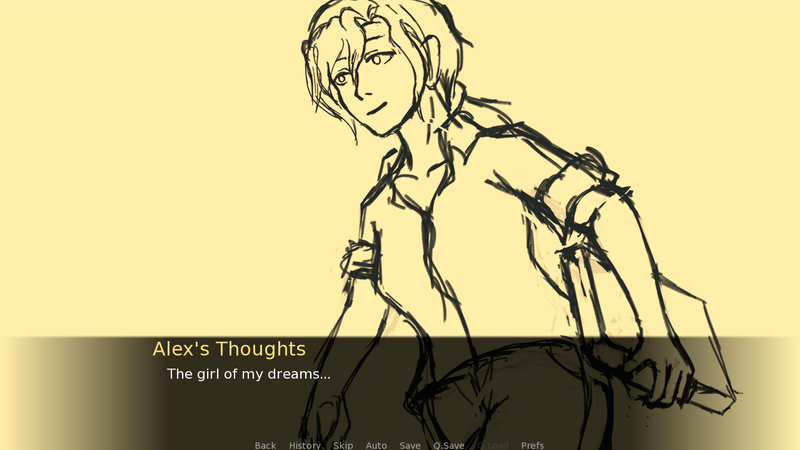 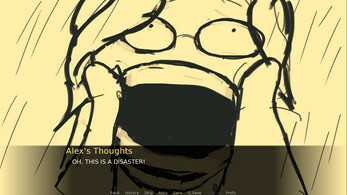 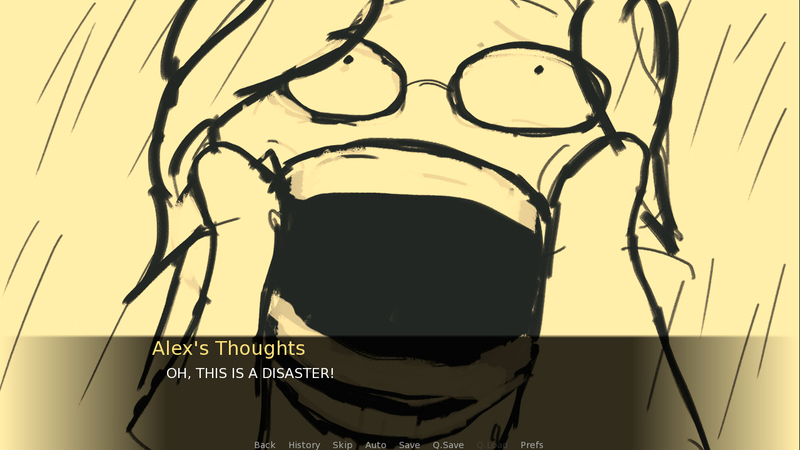 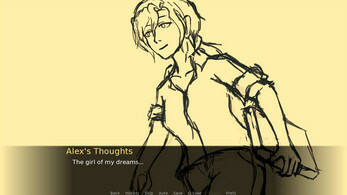 So my approach of the theme was to illustrate a visual novel starring Alex, who is ridden with over thinking and having too much anxiety, into trying to accomplish his goal of asking his crush, Amber, out on a date. 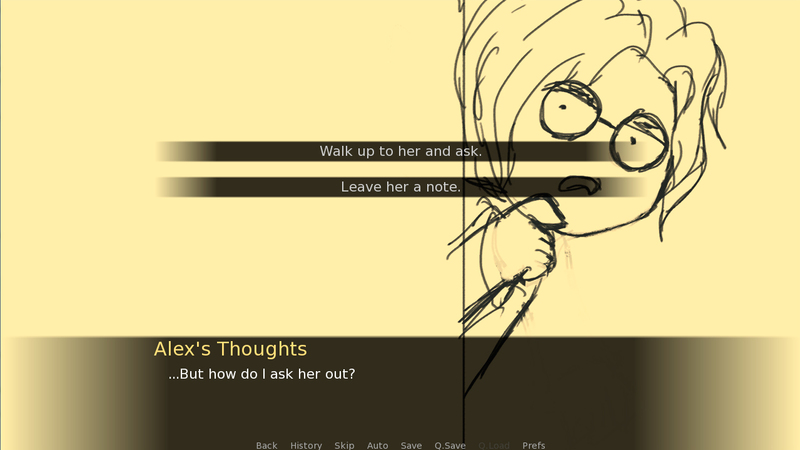 Game is extremely short, however; every single choice in the game has sketches to go with it, so I highly recommend playing it multiple times to see what happens for the other choices!